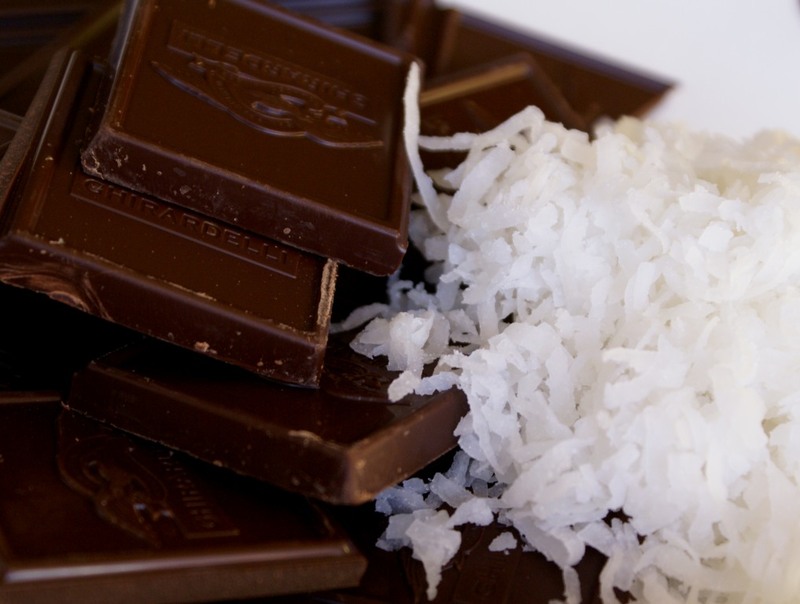 I must admit – I am a chocoholic. I am especially crazy about good Swiss chocolate such as Lindt, Cailler or Toblerone! Baking with these is really fun and the taste is always superb! 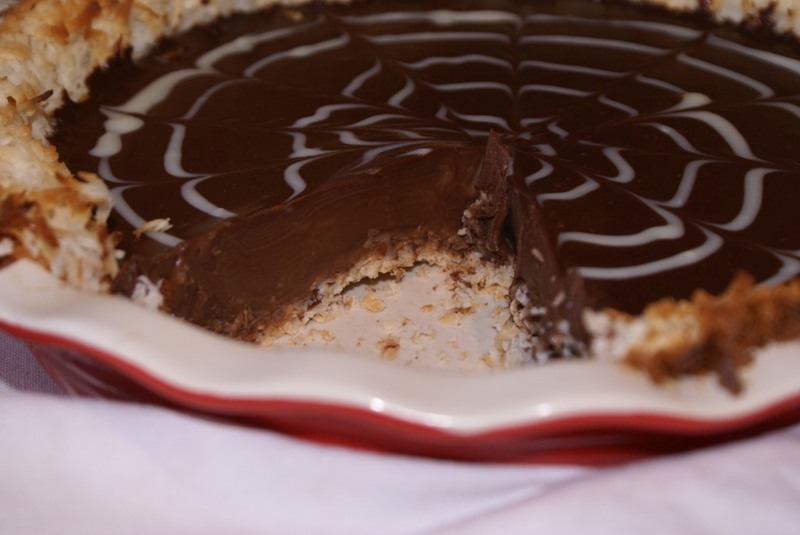 Since living in the United States I became very fond of Girardelli chocolate and I use it often when baking. 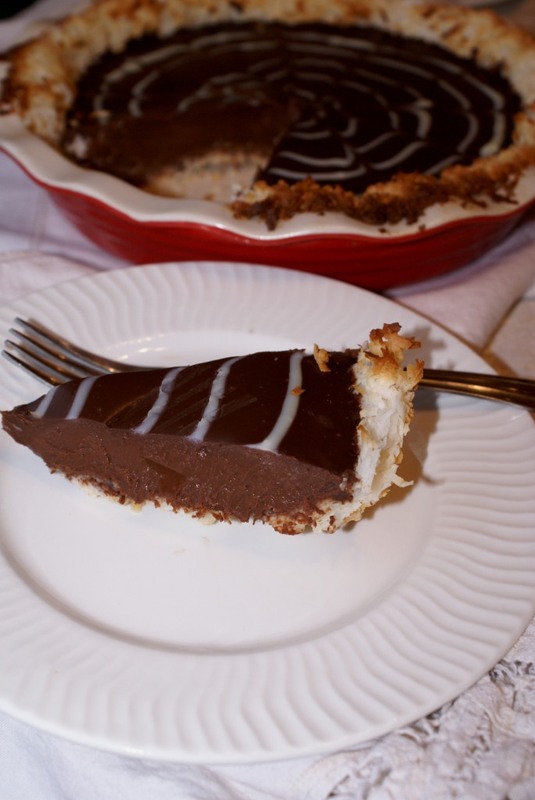 For this pie I used 60% cocoa Girardelli chocolate, which is quite dark and rich and the light coconut crust goes perfectly with it. 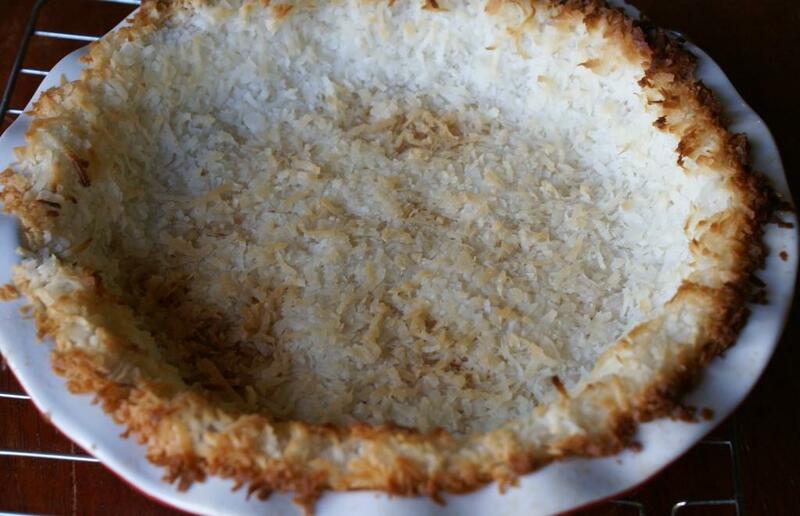 For the crust beat the butter and rum until fluffy. 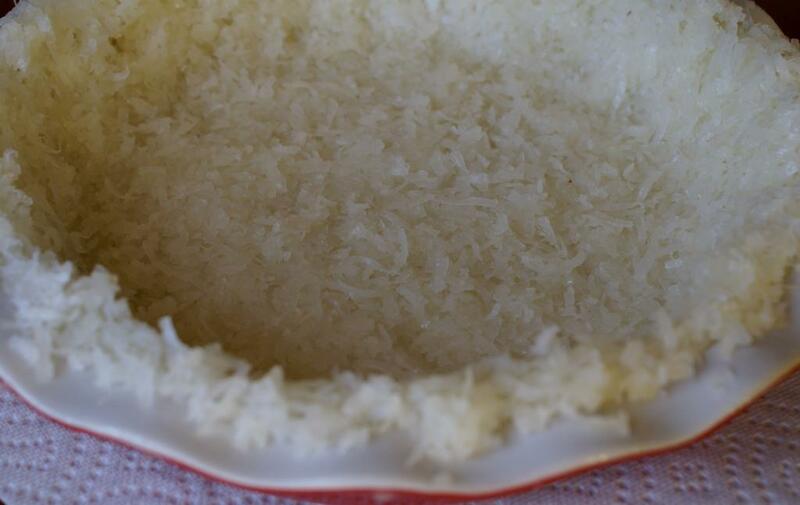 Add 2 cups of shredded coconut and work it into butter. Add remaining 4 cups and knead it good with your hands. Prepare a 9 inch pie dish and line it with parchment paper. 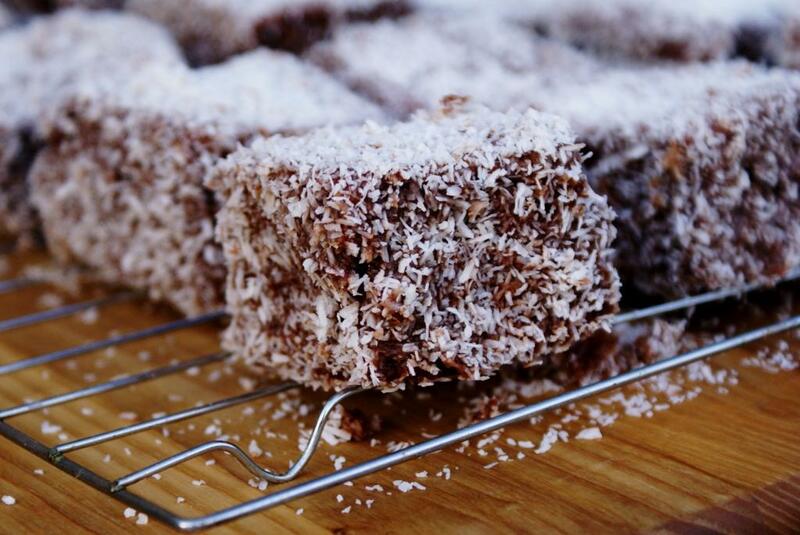 First press coconut mixture onto the bottom of the dish and then onto sides. 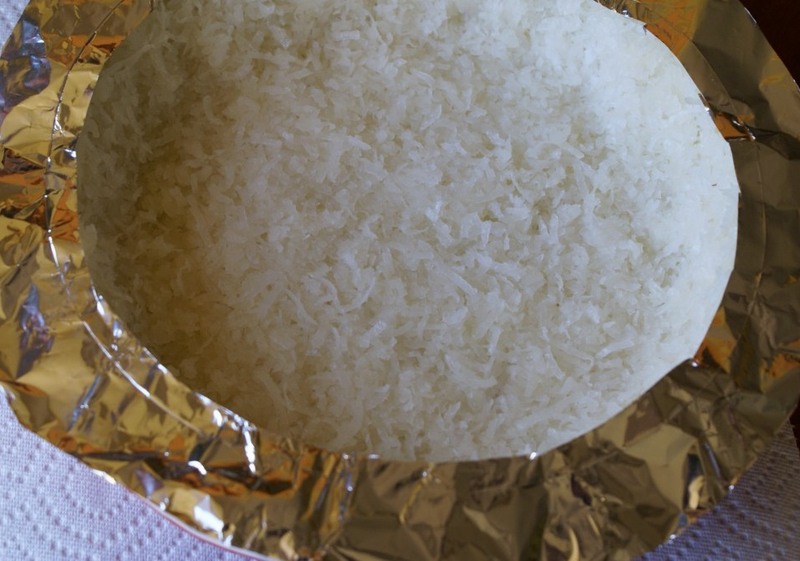 Cover the top edge with a ring made from aluminum foil to prevent burning. Bake about 15 minutes at 365 F or until bottom start to brown very lightly. Cool completely. 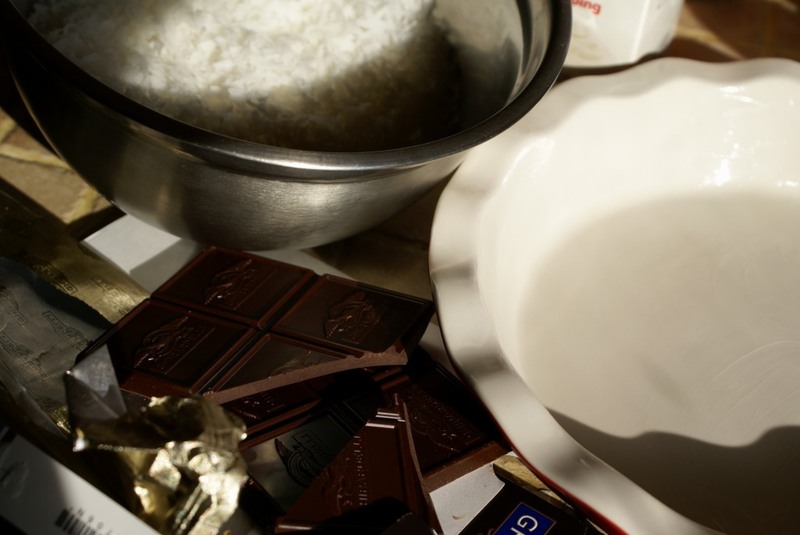 For the filling, break the chocolate into small pieces and place it into a bowl. 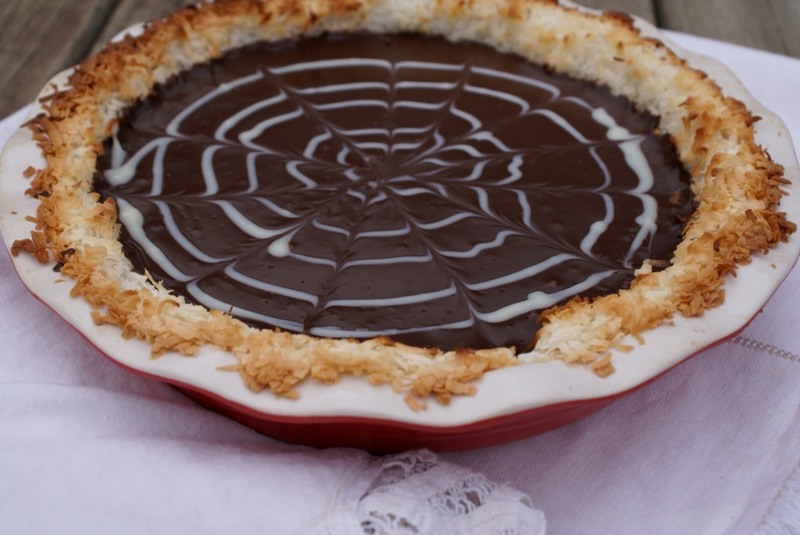 Bring the heavy cream to a quick boil and pour it over the chocolate. Do the same with the white chocolate in a separate bowl. Let the mixture rest for about 10 minutes, then mix well and pour it into crust. Before decorating let the pie set for at least 45 minutes. If the white chocolate mixture has hardened, melt is shortly and place it into a small plastic zip-loc bag. 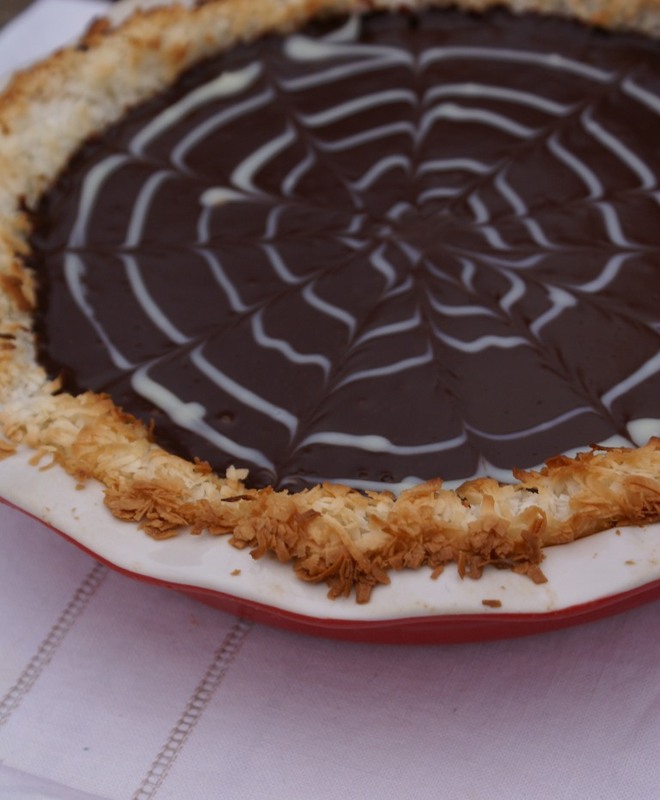 Cut off a tiny tip and make a swirl on the pie starting from the center. Take a toothpick and make a line with it starting at the center towards the edge, make another line now starting from the edge to the center. Alternate like this until you come to the first line you made. Let the pie set in the fridge best over night. Remove from the fridge at least 30 minutes before serving!